Stephen Heard joined the firm as Of Counsel August 24, 2015. Stephen practiced law with the firm of Stewart Estes & Donnell for almost 30 years and then with the firm of Dickinson Wright following its merger with Stewart Estes & Donnell. His practice focuses primarily on civil trial and appellate practice in State and Federal courts as well as the representation of small businesses and non-profit organizations. A graduate of the University of North Carolina at Chapel Hill and Emory Law School, he has tried over 200 court of record lawsuits and argued 28 appeals. He has served as a lecturer and presenter in over 22 continuing legal education programs, most recently at the 2015 National Equine Law Conference on the subject of Non-Profit Law Issues for EquineTrade and Breed Associations. He has also served as faculty at the Defense Lawyers Trial Academy, Boulder, Colorado, sponsored by the International Association of Defense Counsel. Stephen is a member of the Tennessee, Georgia and Kentucky Bar Associations. He is a Rule 31 Mediator (since 2001). 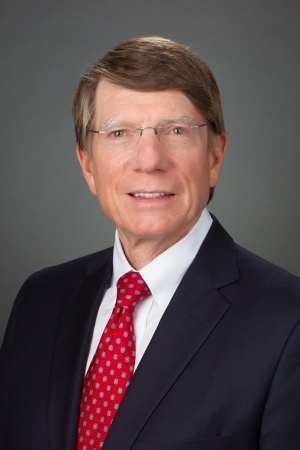 He is a member of the Nashville Bar Association, American Bar Association, the Federal Bar Association, the Tennessee Defense Lawyers Association, the International Association of Defense Counsel (Employment Law Committee Chairman from 1993 to 1995; Medical Malpractice Committee; Products Liability, Drug Device, and Biotechnology Committee), Tennessee Association of Construction Counsel, American College of Equine Attorneys, and Transportation Lawyers Association. He has twice been awarded Strathmore’s Who’s Who Professional of the Year Award (2007 and 2009). He has also received the highest possible peer review rating in Legal Ability and Ethical Standards (AV, Preeminent), by Martindale Hubbell for the past 26 years. He has been recognized by Best Lawyers, Lawyers of Distinction, and Best Attorneys. Contributing author of Independent Contractor Status, State by State Legal Guide, Employment Law Library from Wiley Law Publications. Successfully defended an industrial machine manufacturer in a wrongful death product liability action seeking $10M in damages. Successfully defended a software corporation in a breach of contract action brought by former owner seeking damages under theories of successor corporation liability. Suit was dismissed on Motion for Summary Judgment. Successfully defended a building materials supplier in a residential construction case where supplier was accused of negligently drafting plans and specifications which, when implemented by a general contractor, resulted in defective construction. Cause of action against supplier was dismissed on a Motion for Summary Judgment. Represented a class of physical therapy students against a university on theories of breach of contract, willful and negligent misrepresentations and violation of the Consumer Protection Act. The university failed to obtain certification of its physical therapy program which resulted in damages to the students. The case was tried to a jury and Judge, resulting in a judgment in favor of the students in excess of $1.3M. Represented a former employee of a printing company in an age discrimination case against that entity. The case was tried to a Judge and jury and resulted in a judgment in favor of the employee in excess of $500K. Have tried hundreds of lawsuits in both jury and bench trials in state and federal courts. Represented various insurance companies in direct actions, bad faith claims, coverage disputes, and have represented insurance carriers’ insured’s in civil litigation matters, including motor vehicle accidents, construction disputes, violations of the Fair Debt Collection Practices Act, medical malpractice claims, products liability claims, and premises liability actions. Successfully defended national fast food chains in suits alleging food borne illnesses and food contamination by foreign object. Have tried such suits to defense verdicts in both state and federal courts. Successfully defended national trucking carriers in catastrophic injury and death cases arising from motor vehicle accidents. Successfully defended a national health care provider and various physicians in medical malpractice suits. Successfully defended real estate mortgage lending institutions in numerous suits attacking lending practices. Have handled over 1,000 workers’ compensation cases in the State of Tennessee, inclusive of Department of Labor mandated mediations, court of record trials, appeals through the Supreme Court Workers’ Compensation Panel and the full Supreme Court.